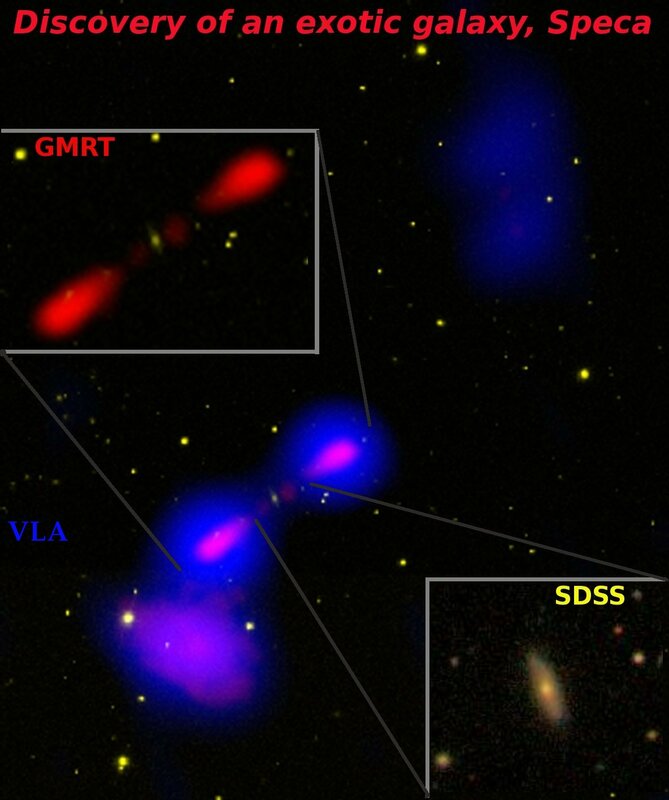 According to a new study a strange, newfound galaxy may help astronomers figure out how black holes and star formation evolved in the early universe. This spiral galaxy, that obtained name SPECA, has fast-moving jets of particles rushing from its center, a phenomenon more commonly observed in elliptical galaxies. In fact, Speca is just the second spiral known to have such jets. These jets are spawned by a supermassive black hole at the heart of Speca. Researchers hope studying the galaxy will yield insights into black holes, star birth and the interaction between the two. According to study’s principal investigator Ananda Hota, of the Academia Sinica Institute of Astronomy and Astrophysics (ASIAA), in Taiwan, this is probably the most exotic galaxy with a black hole ever seen. Speca’s name is short for Spiral-hostEpisodic radio galaxy tracing Cluster Accretion, it is found about 1.7 billion light-years from Earth. Astronomers used a variety of telescopes to characterize Speca, finding that it boasts three pairs of lobes. Such a high count is rare even among ellipticals, and it provides clues about the evolution of Speca.